"He was acclaimed for his bravery when he climbed outside the airship onto the tail fin and, with only a few thin wires to hold onto and a flash-light to see by, worked to repair the damage with nothing between him and a 1,000 foot drop into the St. Lawrence river below". The aim of the book is to try and piece together the story of the Royal Naval Air Station at Howden in East Yorkshire in World War One and the birthplace of the R100 airship. It tells of the successes and disasters of some of the airships based there, the ups and downs of the station, and tells the story of the Barnes Wallis designed R100 airship that was built at Howden in the 1920s. 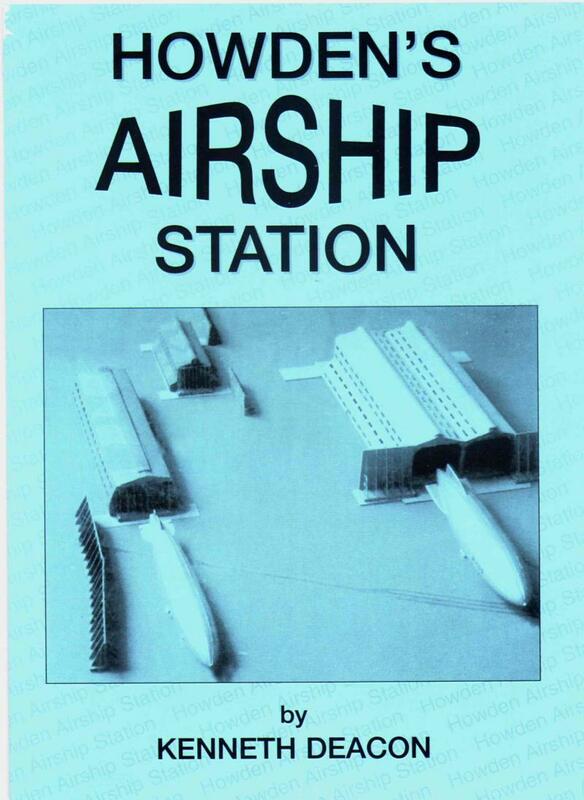 The book explains the need for an airship station to be built at Howden. How the "Howden Pigs" contained the U-boat threat to the east coast ports in World War One. How the people of Howden dealt with the crash of the R38 airship that broke up over Hull in 1921. The revolutionary experiments carried out using the R33 airship. How the R34, after her successful Trans-Atlantic flight was destroyed at Howden. The part that the famous author Nevil Shute, who lived in Howden for three years at the start of his writing career played in the building of the R100 airship. And away from airships it tells of the Burney "Steamline"car, designed at Howden by Sir Dennis Burney, shaped as an airship and once owned by the Prince of Wales in the 1930s. What it was like to live on the station in the 1920's and in the 50's. What remains today of this once massive airship station. Price £3.95 plus postage and packing for UK buyers. 17 American Dollars this covers postage, packing and exchange rates. These prices may be increased due to postal increases. 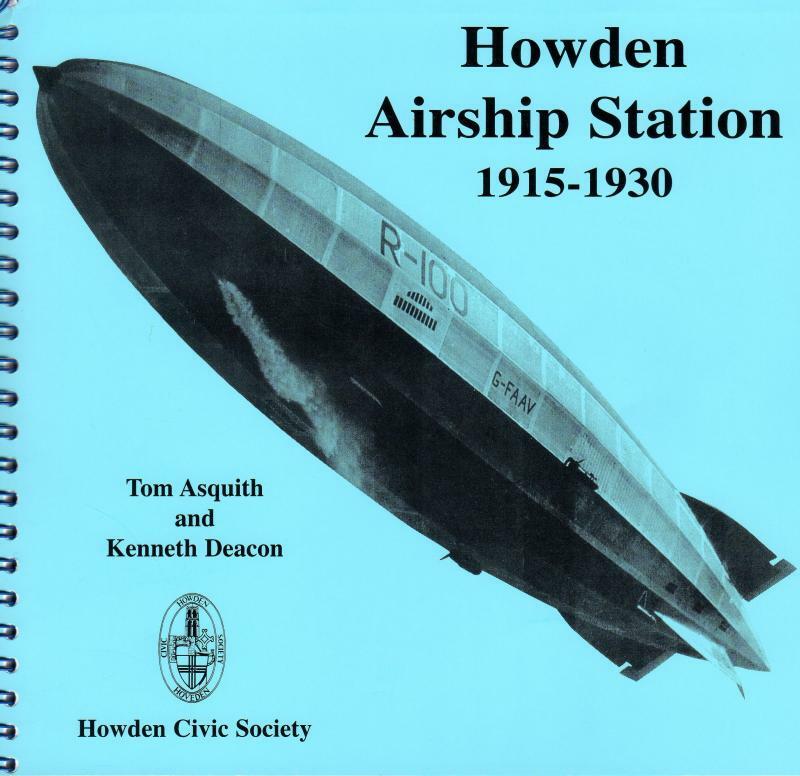 New book on Howden airship station with some new photographs and more information on the types of airships that used the station in WW1. Also more information on the R34's flight to the USA in 1919 and some photos on the R38/ZR2 detachment never seen before. Both books together give a complete story of the station. The book has been produced by the Howden Civic Society and is selling at £5 plus postage and packing. A book on The Burney Streamline Car, mentioned above is now available by contacting the Howden Civic Society web site http://www.howdencivicsociety.org.uk or by contacting me. The book written by Dr B. Nield is the first to draw together much of the available material and tells the story of how the car evolved. It includes several previously unpublised photographs of the Burney car and its successor the Crossley Streamline. Price £6 plus postage & packing £1.00. 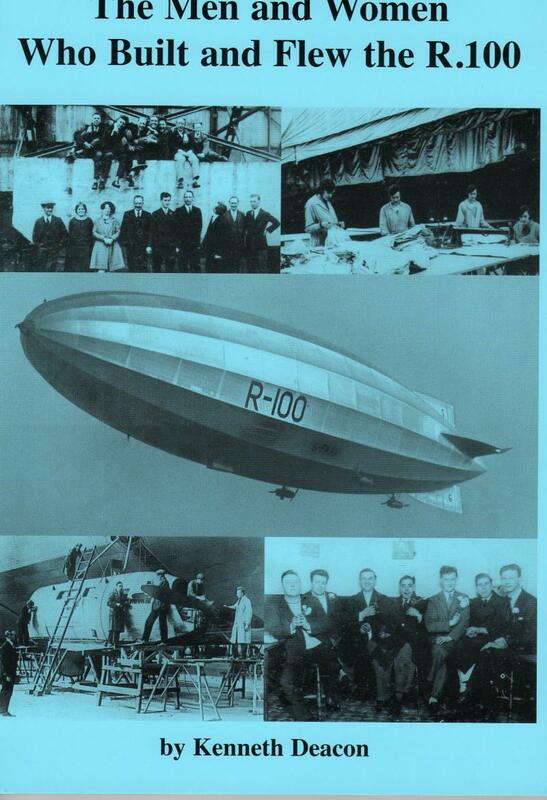 Another new book titled The Men and Women who built and flew the R.100 as seen on BBC Look North TV covers the building of the R.100 airship at Howden. Plus coverage of the R.101 crash with survivors stories and the R.38/ZR2. and much more. Price £7.50 + p/p .90p for 2nd. class or £1.08 first class post. Another new book Hints for Flight Sub-Lieutenants. This book was a book written in circa 1916 by an unknown Naval Officer who was trying to be helpful to any man applying to gain a commission in the Royal Naval Air Service. It covers the correct behaviour that would be expected of an officer. How to control your men,and even hints on how to fly an aircraft. The book measured 70mm. by 110mm. and was given to me by a lady whose Grandfather had served in the Royal Naval Air Service on the airships at Howden. Rather than leave it in a drawer I thought I would copy it as an A5 booklet and let it be seen by people interested in Naval History. It contains prints of Naval Uniforms and some adverts from 1916. It is a paper back with 41 pages. "Ship's Broken Falling!" a book on the R38/ZR2 airship which broke in half and crashed into the River Humber in Hull England. It also tells the fictitious love story of a local girl and one of the American crew. Sure to be enjoyed by romantics the world over. Price £7.50 +p/p. These books can be purchased through Langrick Publications or by e-mail kenneth.deacon@sky.com.